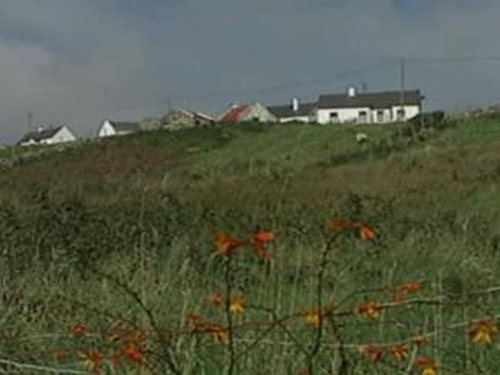 The people of Arranmore Island off the coast of Donegal have launched a new development plan for the island. Residents of Ireland's second most populated island have warned that unless co-ordinated action is taken at all levels then Arranmore's future looks very much like its past. The plan highlights the positive assets of the island including its natural beauty and the progress made in areas like waste management. However, it also highlights a number of serious problems including its declining population, high unemployment and a decline in the Irish language. There has been a steady fall in the population which now stands at 522 with most young people leaving as soon as they can for further education and better job opportunities. A quarter of islanders are unemployed and there is 56% male unemployment. Traditional fishing and agriculture have declined significantly. The age profile of islanders is increasing and there is a high dependency on social welfare and other state supports. The plan launched today is described as a road-map for the future of the island which islanders themselves want to be part of implementing but they say they also need State support to make the plan a reality. They have identified nine areas to be addressed including the development of tourism and renewable energy projects and support for fishing and agriculture. Islanders say support is needed from State agencies to achieve their plan and Údaras na Gaeltachta Chairman Liam O'Cuinneagáin said he is optimistic the government will give its support. He said it is particularly important at times like this that we focus on creating unemployment and encouraging entrepreneurship.